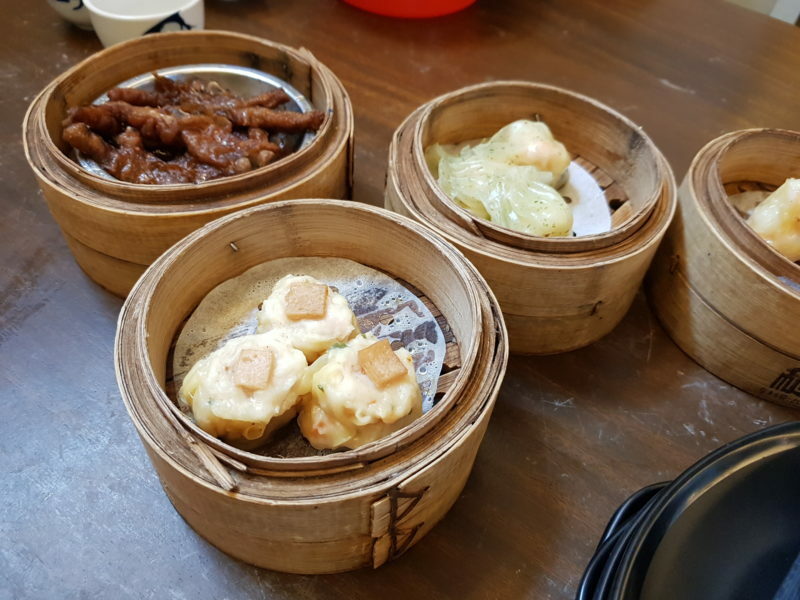 Canning Dim Sum is a restaurant or cafe situated in Ipoh, more specifically, at Lebuh Cecil Rae. It’s located inside what looks like a housing area, so it may not be obvious at first. 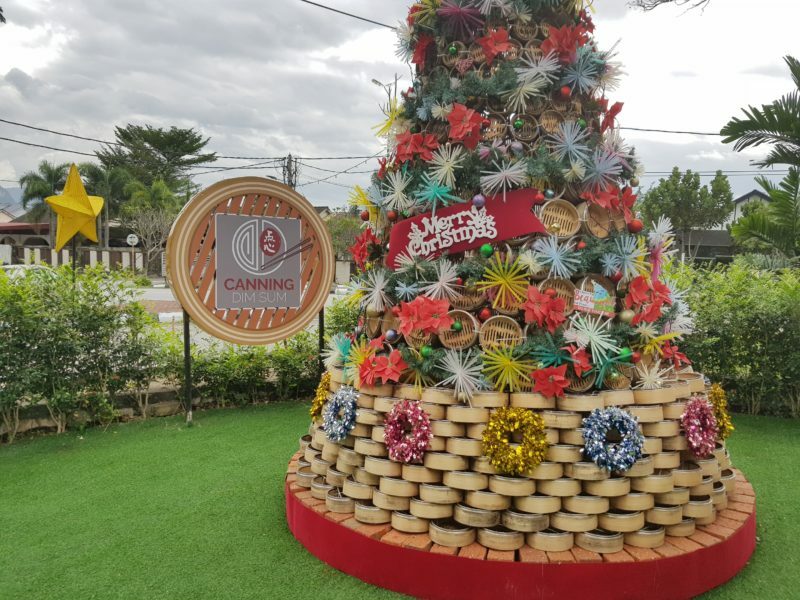 However, it did have a huge Christmas tree that stands out from far. 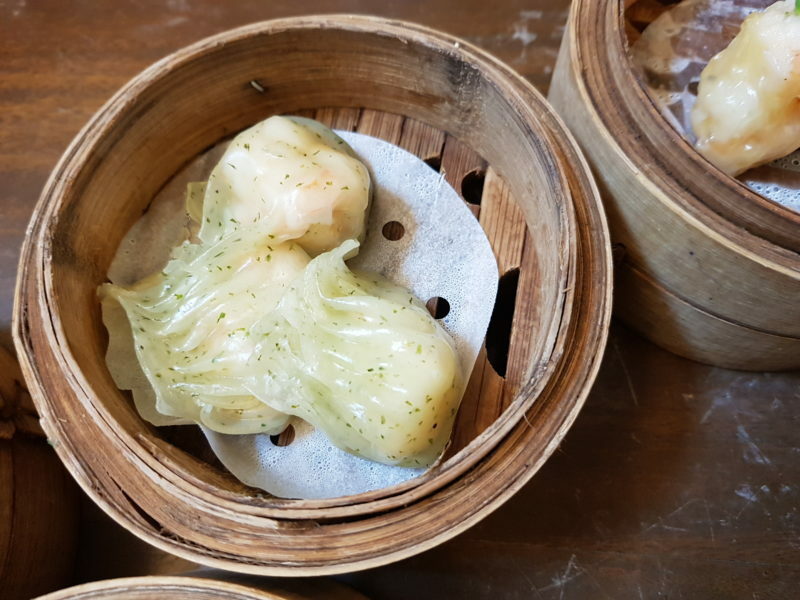 Here’s a brief review of Canning Dim Sum and it’s my first visit. 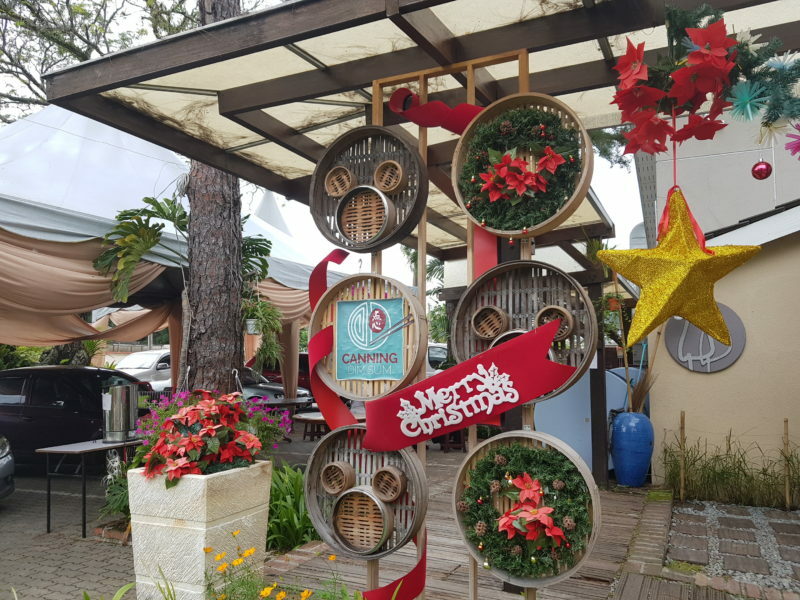 As we went during the Christmas season, there were plenty of decorations outside the dim sum shop. It’s a good place for taking photos and it gives a really pleasant welcoming vibe to new visitors. 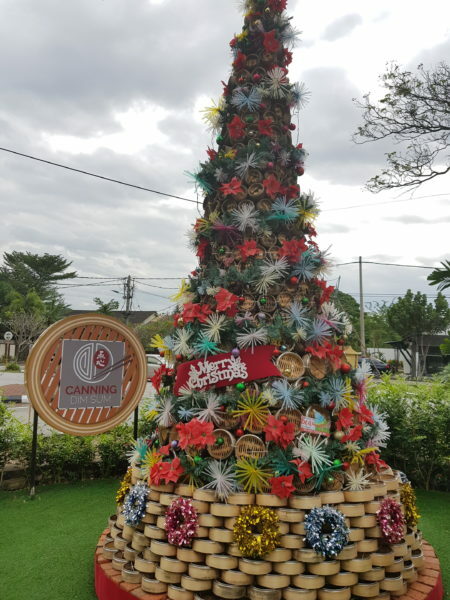 I’ve seen this Christmas tree probably more than once on my Instagram feed. 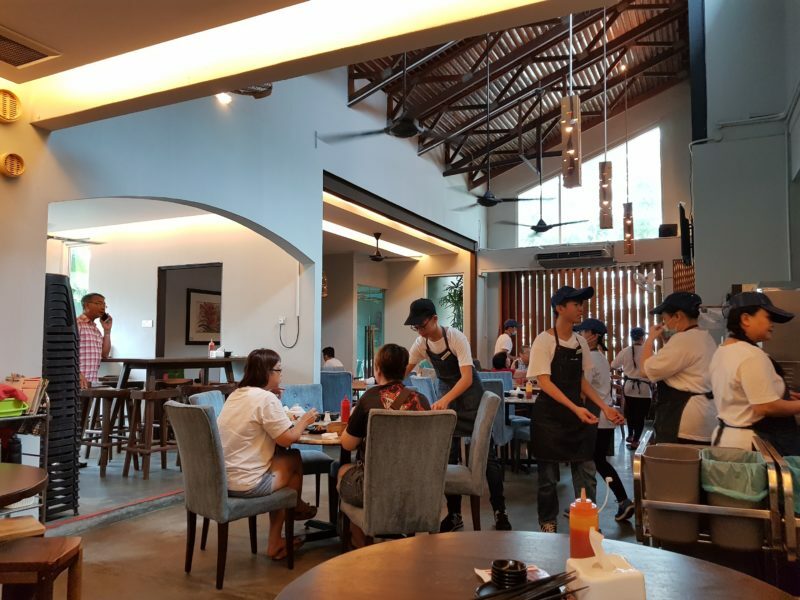 It’s probably a shop converted from a corner-lot house, so the interior is a little different from regular dim sum places. Furthermore, I heard that it’s halal, so it’s suitable for anyone in Malaysia. 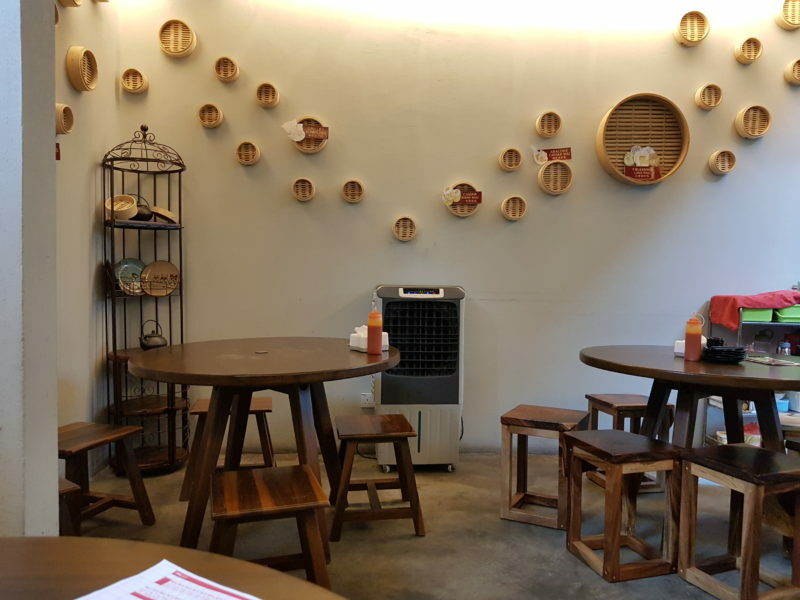 They decorated some of the walls with those dim sum baskets. 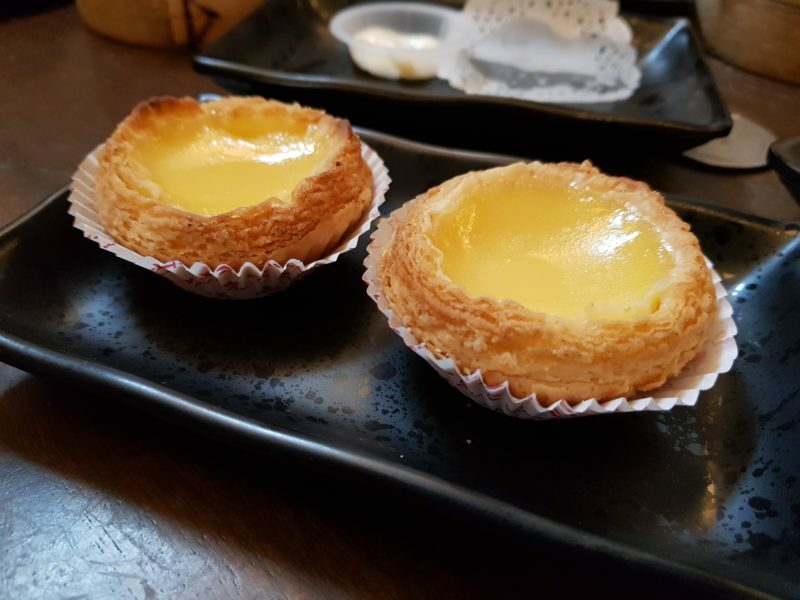 This is their egg tart which was pretty decent. 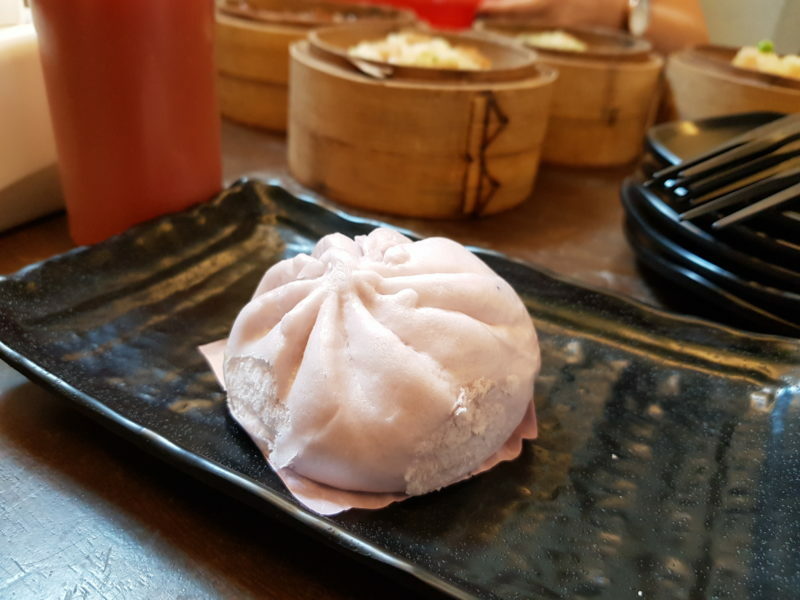 They also have more unique liu sa baos, which comes in a few different flavors. I ordered only the yam flavor, but I still prefer the original flavor to be honest. 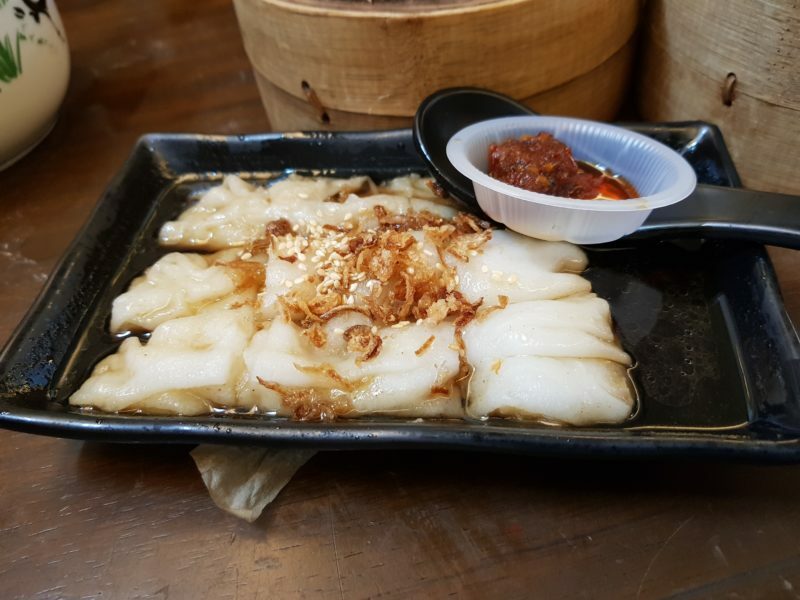 This dish below is their chee cheong fun which was also delightful. It’s a little on the oily side, but it’s still worth ordering. 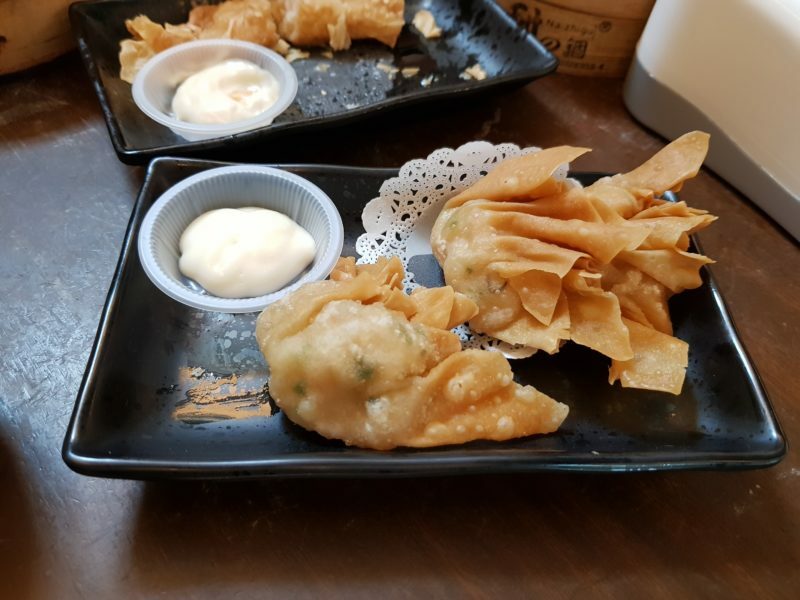 We also ordered different types of dumplings, and they were pretty okay. 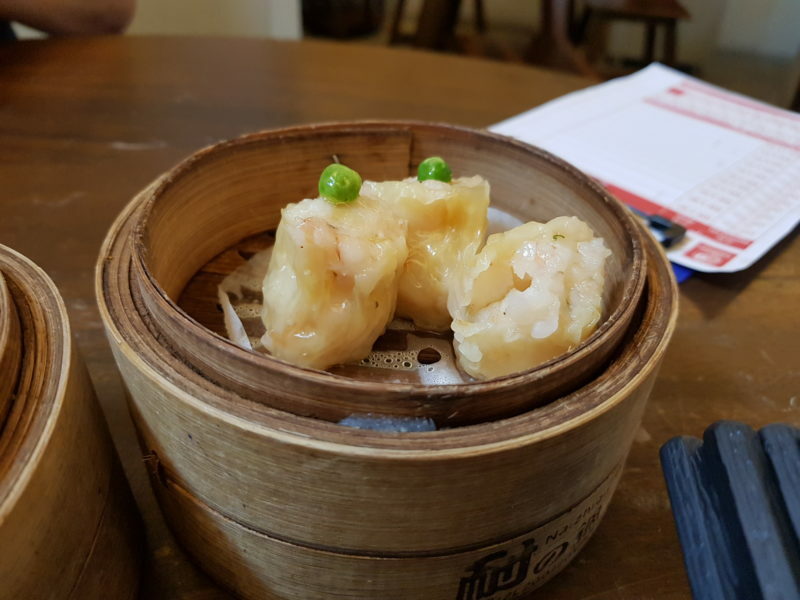 You should check out the prawn dumplings as well. Breakfast isn’t complete without the deep fried dishes. 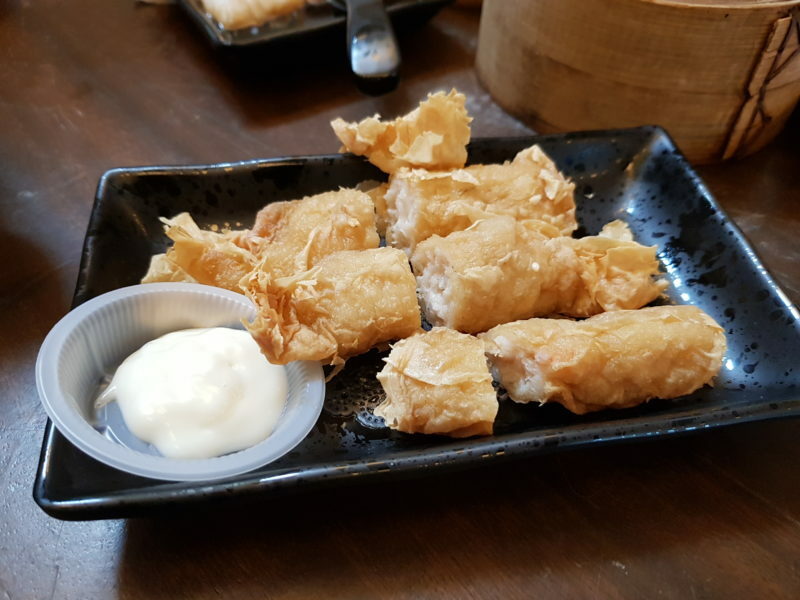 This deep fried prawn rolls are pretty good and goes well with the mayo. 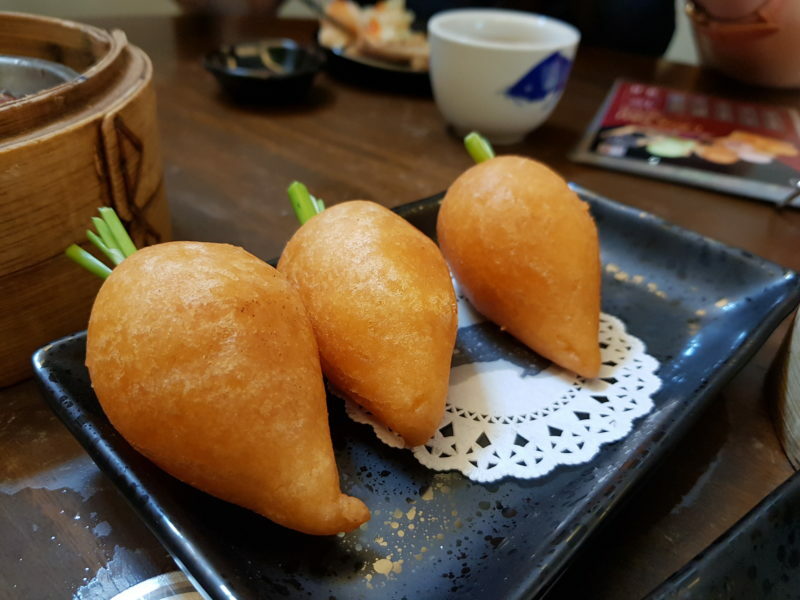 The deep fried prawn wantans are also equally decent and crispy. The standout dish for that day was this carrot-shaped dish. It has a crispy exterior with a glutinous-like interior. 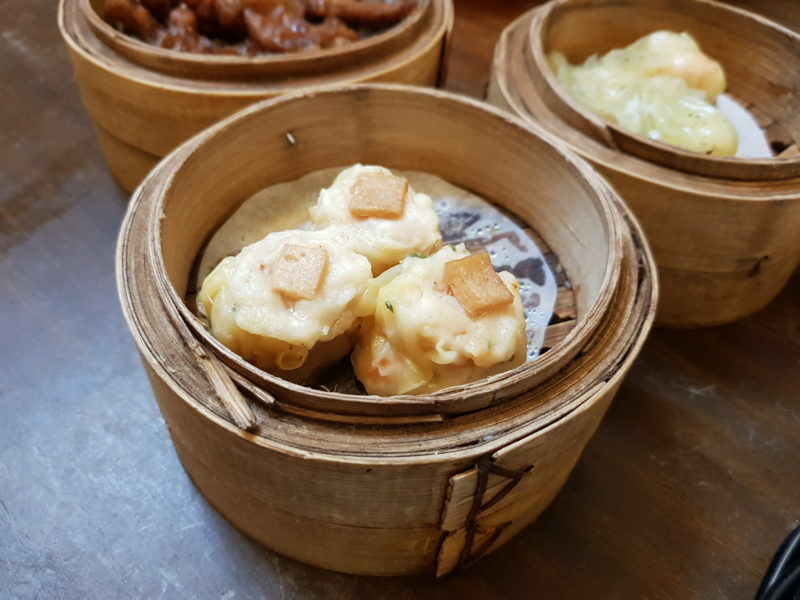 In short, a must-try if you love unique dim sum dishes. 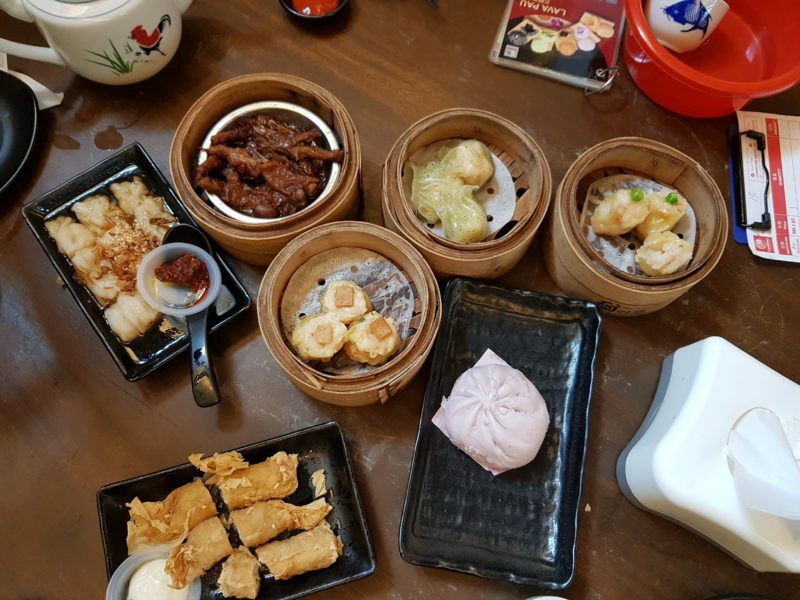 All in all, the food at Canning Dim Sum Cafe is pretty good and is worth the visit if you’re here in Ipoh. 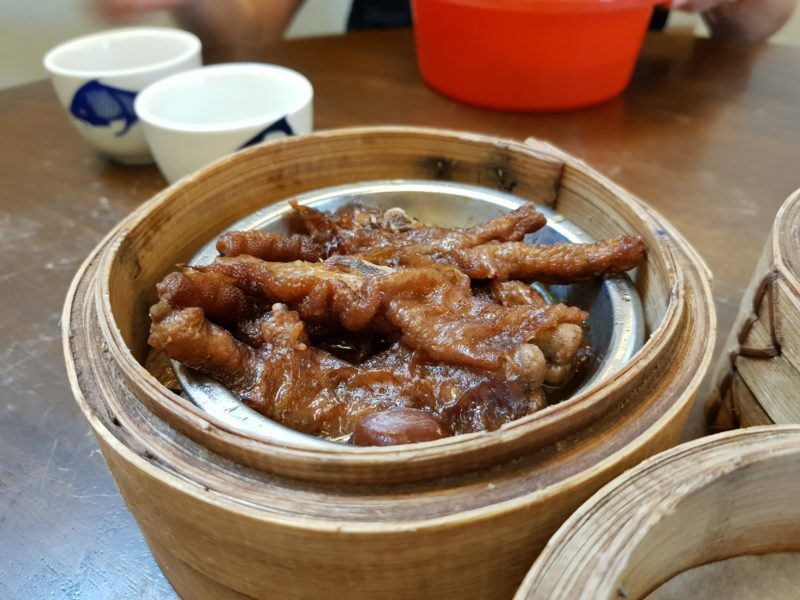 If you’re tired of waiting at Foh San or some other really popular dim sum shop, why not check out this place?